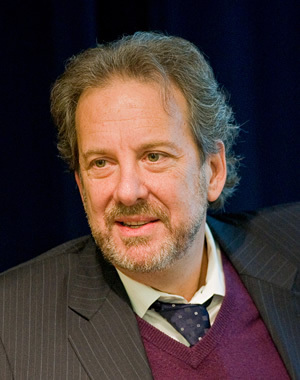 Scott Atran is an anthropologist who experiments on ways scientists and ordinary people categorise and reason about nature, on the cognitive and evolutionary psychology of religion, and on limits of rational choice in political and cultural conflict. Scott has done fieldwork around the world, where he has interviewed the leadership and members of insurgent and extremist groups. He has briefed NATO, U.S. Senate and House, National Security Council staff at the White House, UN Security Council, EU Governments, World Economic Forum and others on problems of youth and violent extremism. He is tenured as Research Director in Anthropology at France's National Center for Scientific Research (CNRS), Institut Jean Nicod ? Ecole Normale Supérieure, in Paris. He is a founding fellow of the Centre for Resolution of Intractable Conflict, Harris Manchester College and Department of Politics and International Relations University of Oxford. His work and life have been spotlighted in the popular and scientific press, including feature and cover stories of New York Times Magazine, Chronicle of Higher Education, Nature and Science News. The research was featured in the August 24 edition of Science, "Sacred Barriers to Conflict Resolution."